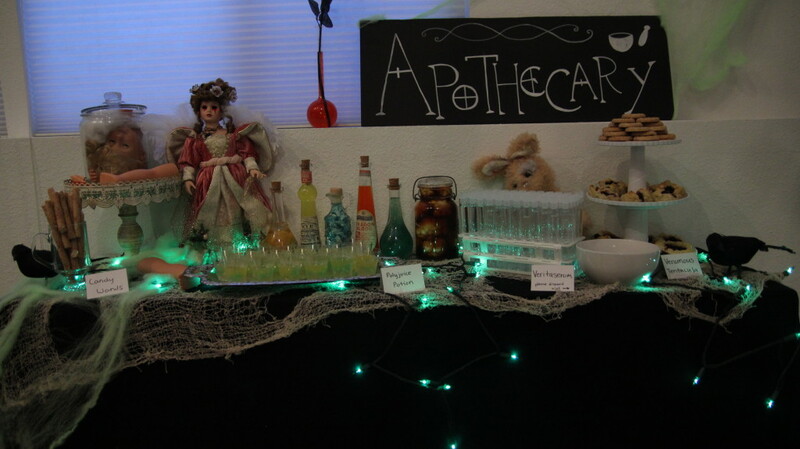 Ultimate Harry Potter Party: Apothecary - Hello, Kristina! This series is seriously making me want to have a Harry Potter party just for the fun of it. I love those potion bottles! 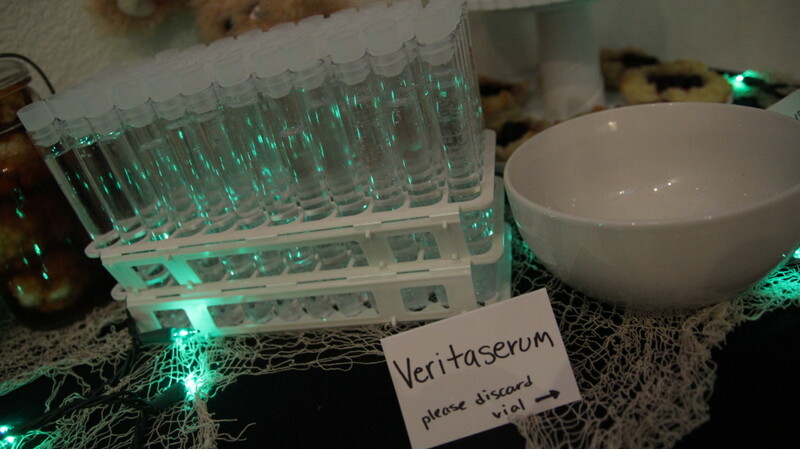 I think I want to try and make the Veritaserum shots. It’s cool how tonic water reacts with black lights. 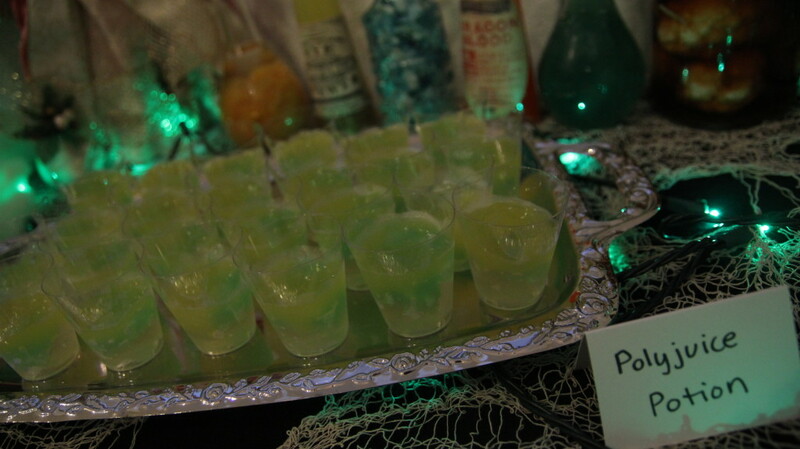 I made a video about it actually and I made the ‘green potion’ from Wicked last Halloween. Your video was adorable! Thanks for sharing. I loved the lollipop in it! 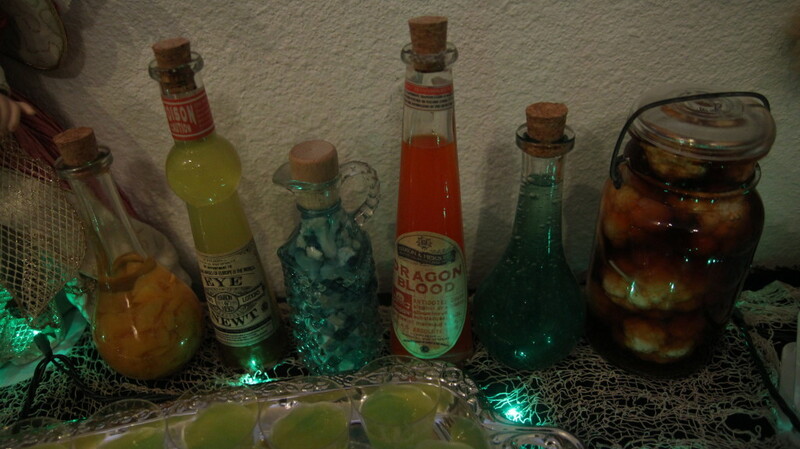 All very cool, but I wanna know where you got (or did you make) the awesome labels for Eye of Newt and Dragon Blood? 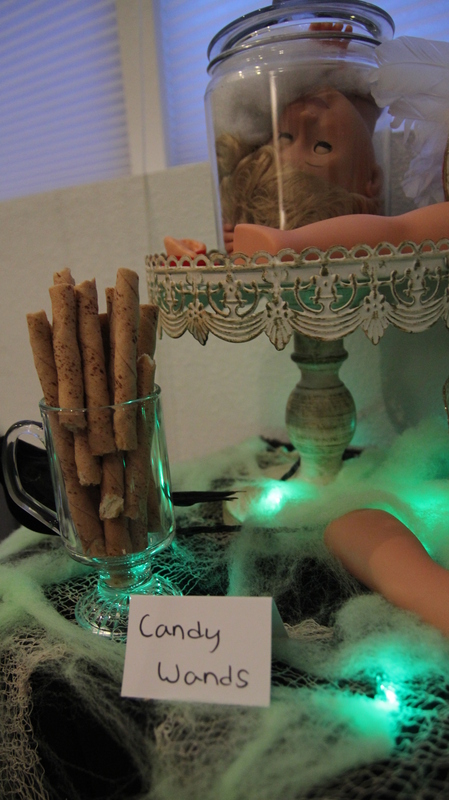 I LOVE the creepy doll, and I really want to try those drinks! Do you have the exact recipes? 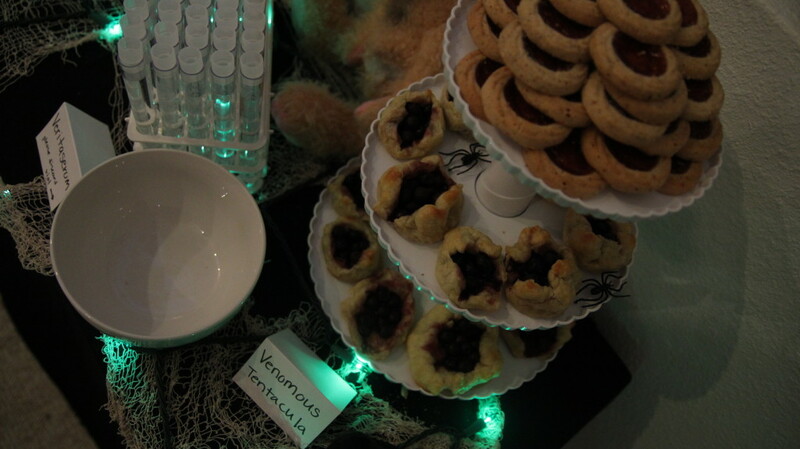 Maybe I will post those recipes soon.